This role is as part of a small and growing team in our timber yard at Cocking Sawmills. 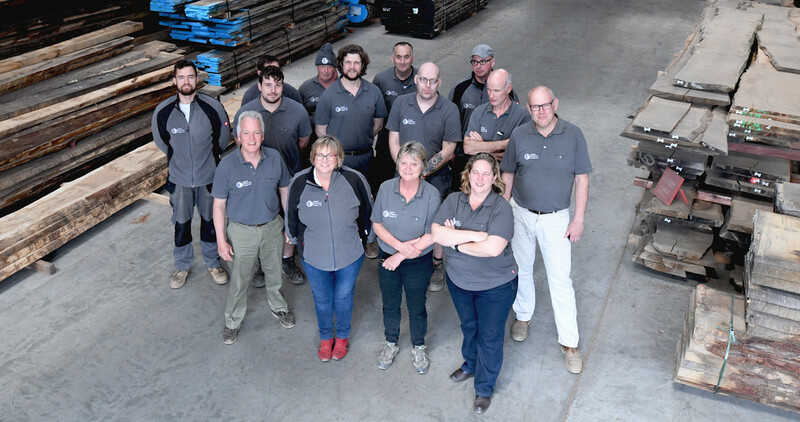 Our timber yard team takes care of our customers and our wood. Listening to customers and understanding their needs is a big part of the daily work. Here people skills and wood knowledge go hand in hand. The team is small and the role is key, so here are some KEY questions for you. Do you know about timber (especially hardwoods)? Do you like to be organised? Have you worked in the Timber Industry or in woodworking workshops before? Are you a natural with computers and digital gadgets (yup, we even use them in a woodyard!)? If you answered YES to these questions then we might have the job for you! We’re looking for someone who already knows their timber, who knows woodworking machines and lift equipment. It doesn’t have to be ours exactly but we need someone who’s already thinking on a wood wavelength. We need someone comfortable with computers and with learning new things, be that a new piece of software or a new profile moulder. As well as good knowledge and experience we can’t stress enough that this role is as much about people as it is about wood so we’re looking for a respectful, friendly, ‘glass half full’ kind of person who’s ready to work with fellow woodyard folk and interested in getting to know customers. We hope this timber yard role might be of interest to you or someone you know. Please feel free to share this email. As always, thanks so much for reading. Keep your fingers crossed for us. Posted on February 15th 2018 under english hardwoods. You can follow any responses to this entry through the RSS 2.0 feed. You can leave a response, or trackback from your own site.